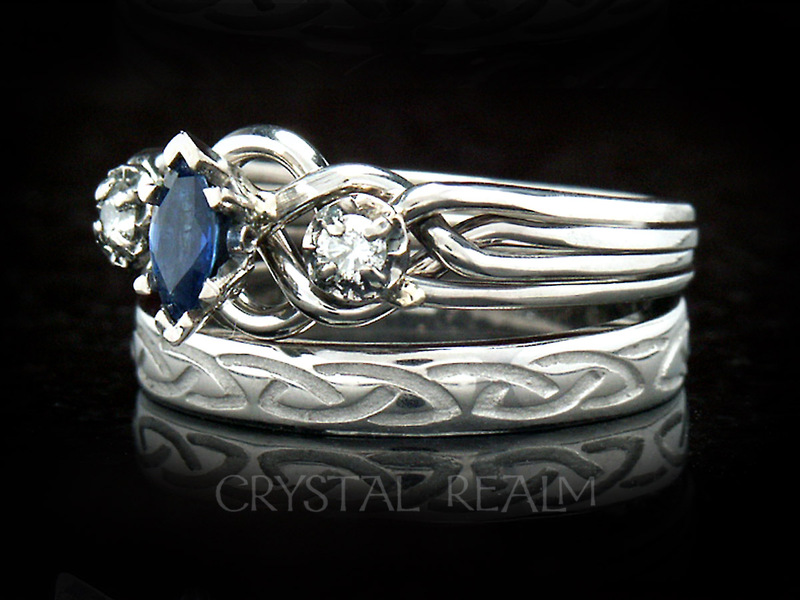 A remarkably beautiful Celtic-knotwork-inspired puzzle engagement ring with Celtic eternal knot band bridal set celebrates the eternal nature of your love and the linking and bonding that grows deeper and stronger throughout your marriage. 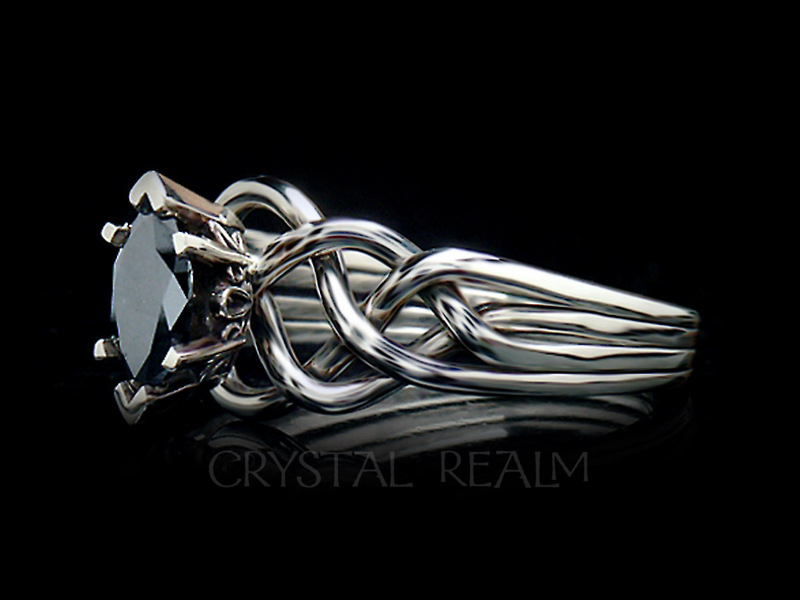 The engagement ring is a genuine working four-band puzzle ring that you will enjoy learning to assemble using our video, animated and written instructions under a link below on this page. 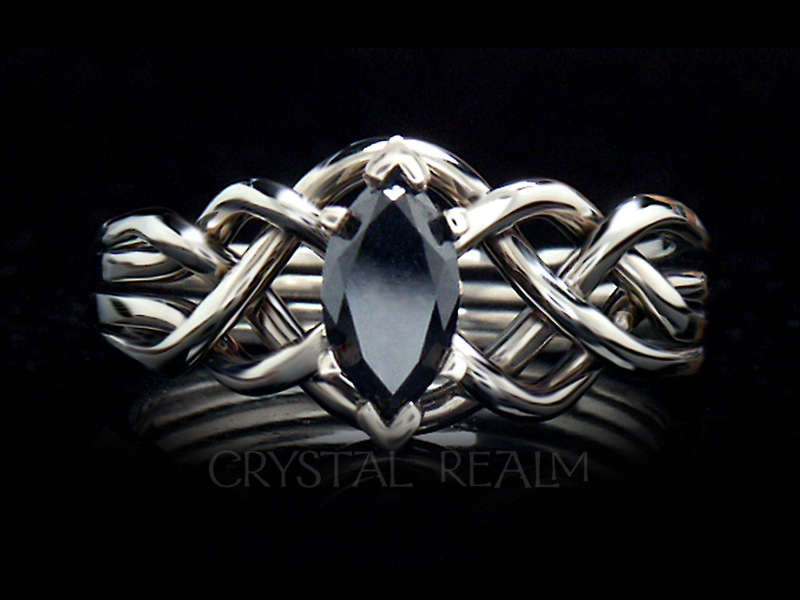 This puzzle ring is hand-woven, unlike the majority of puzzle rings, and yours will be custom-woven for the very stones that you select, making your ring a true, one-off original work of art. 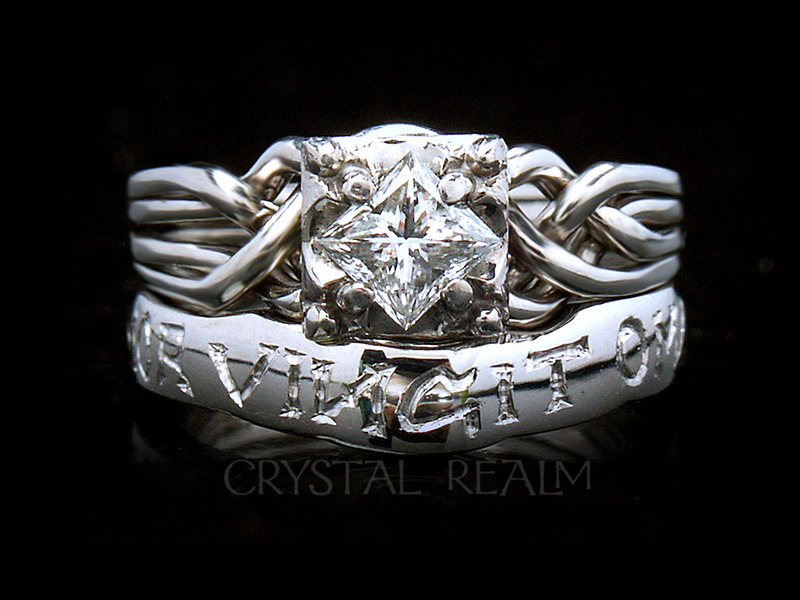 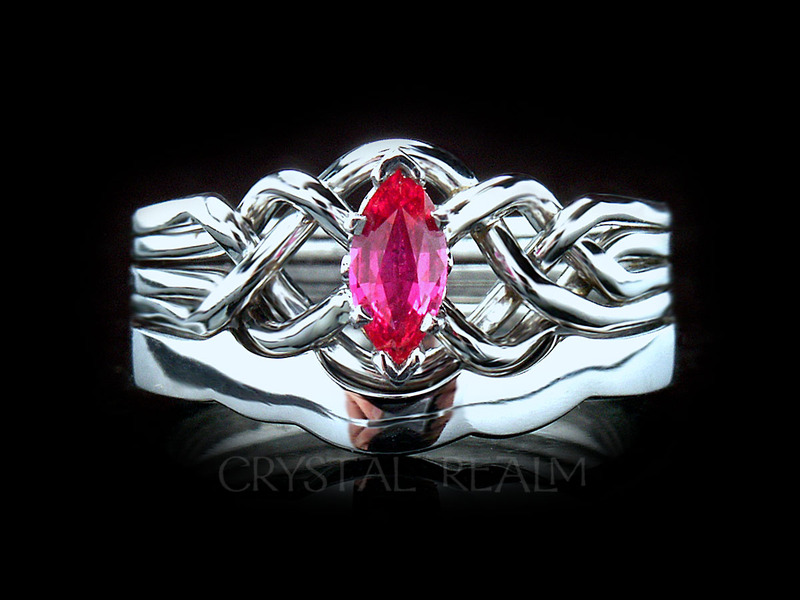 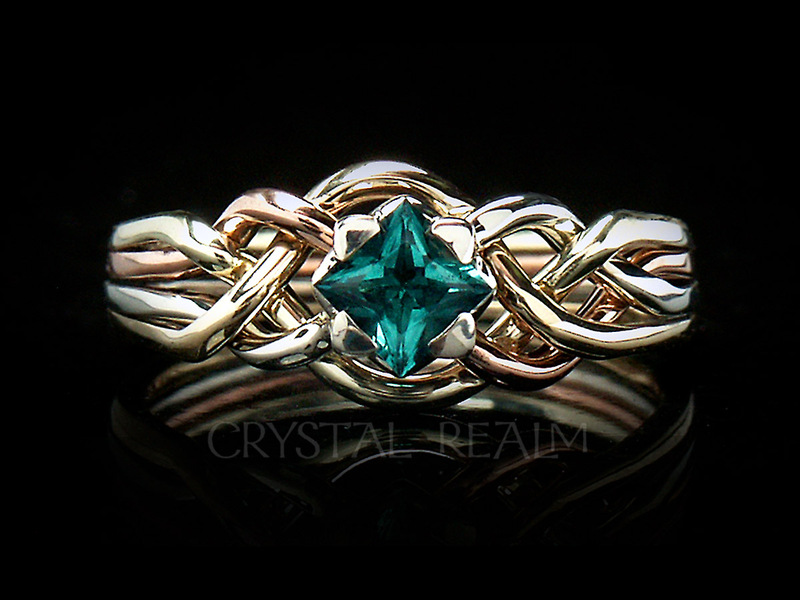 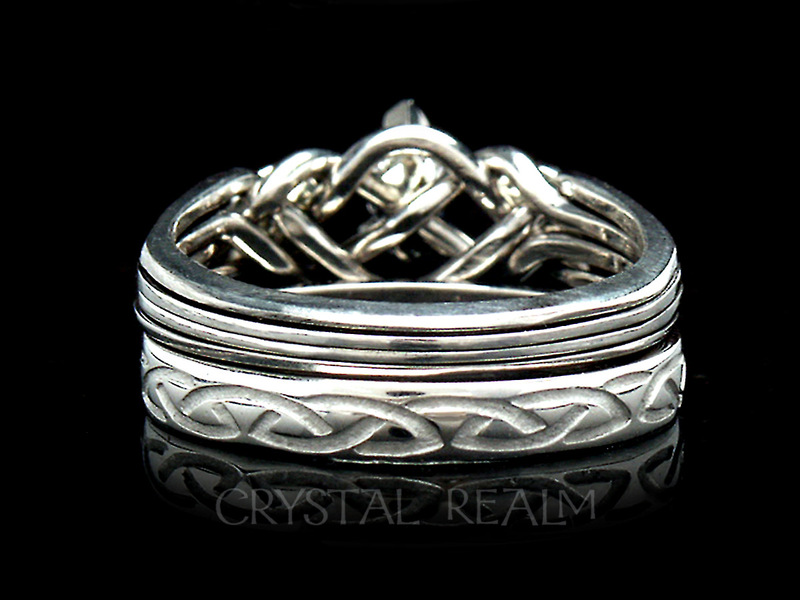 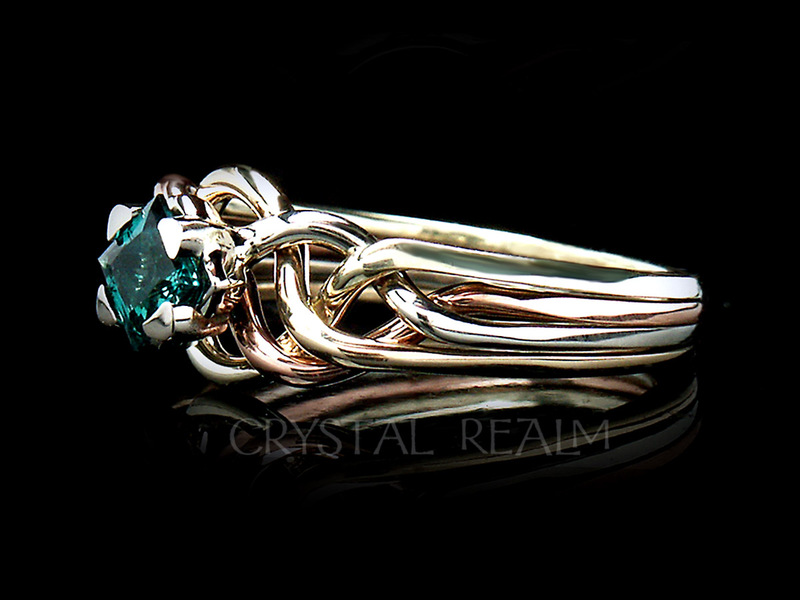 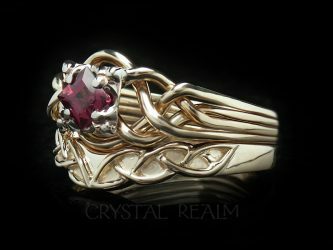 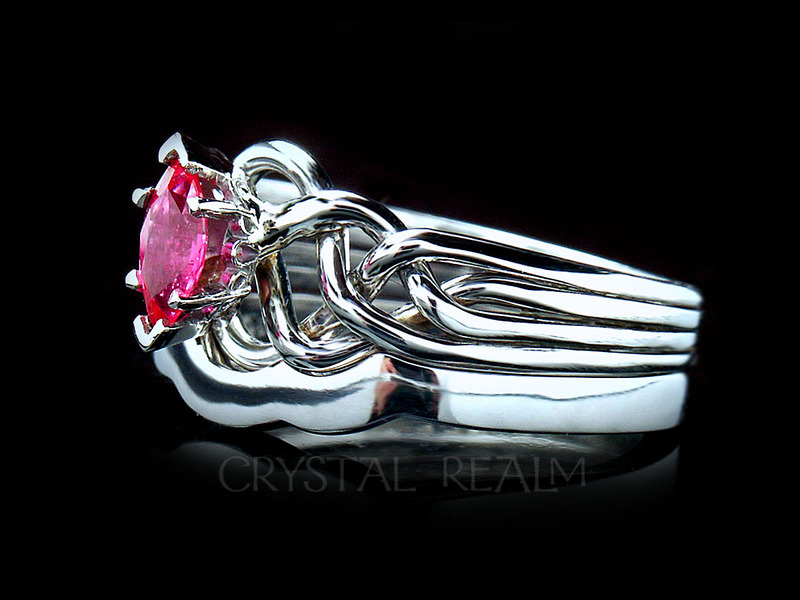 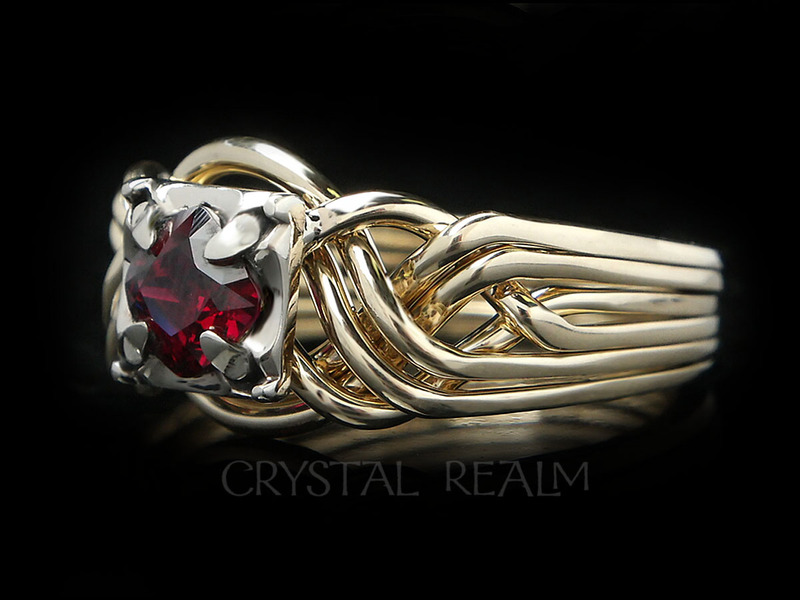 A recessed Celtic eternal knot band with a width of 3.4mm is paired with this engagment ring, for a total width at top center of 11mm or 7/16 in. 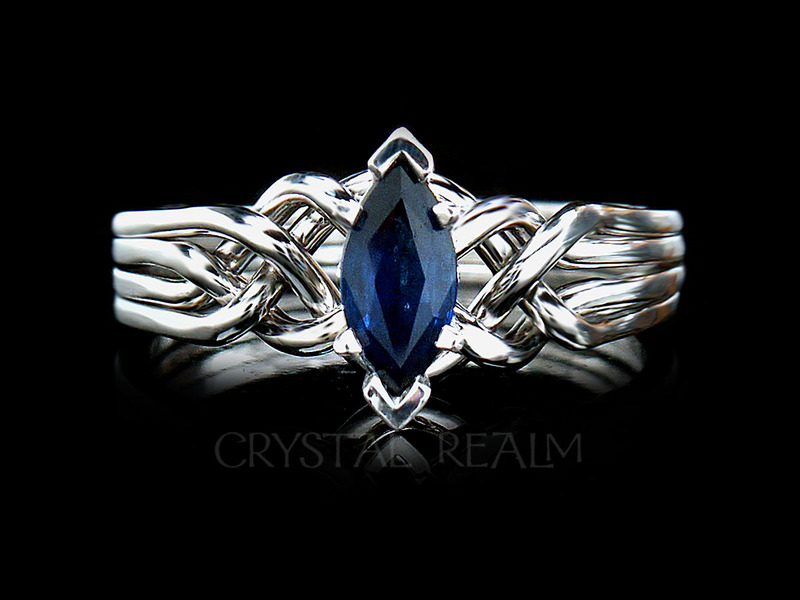 Precious gemstones: The base price on this page is for this set with a 0.35CT (6mm x 3mm) marquise sapphire center gemstone with two 5- point accent diamonds. 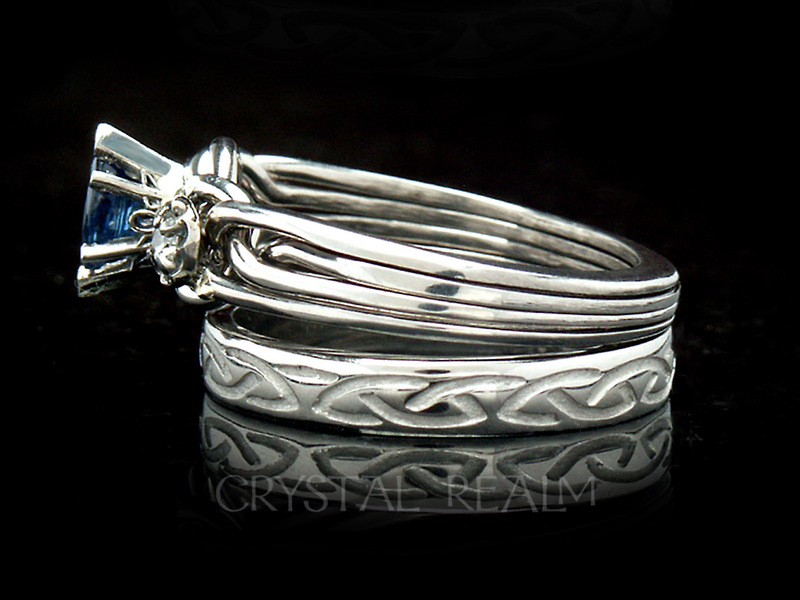 You may select a half-carat sapphire under a drop-down list below. 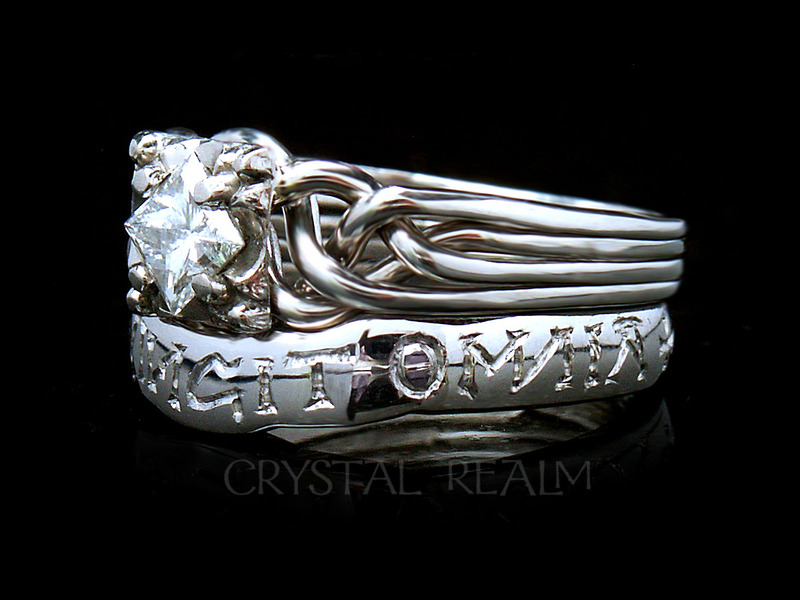 Metal: The set is shown in palladium, a white, platinum-family metal. 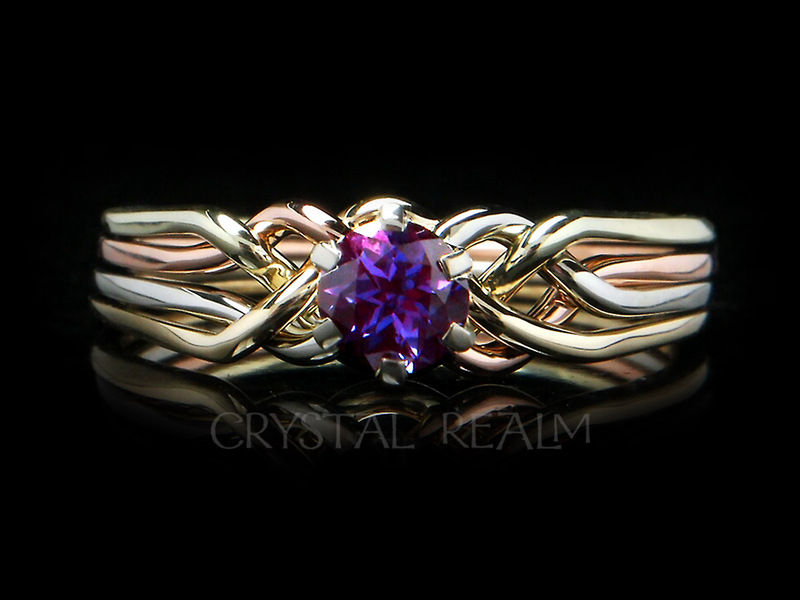 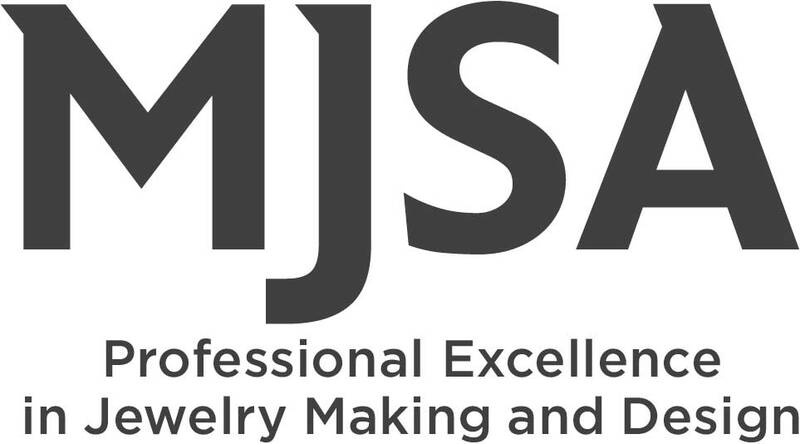 You may also select from 14K rose or yellow gold or platinum. 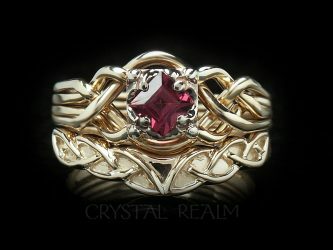 Available in whole, half, and quarter sizes 3.5 to 9. 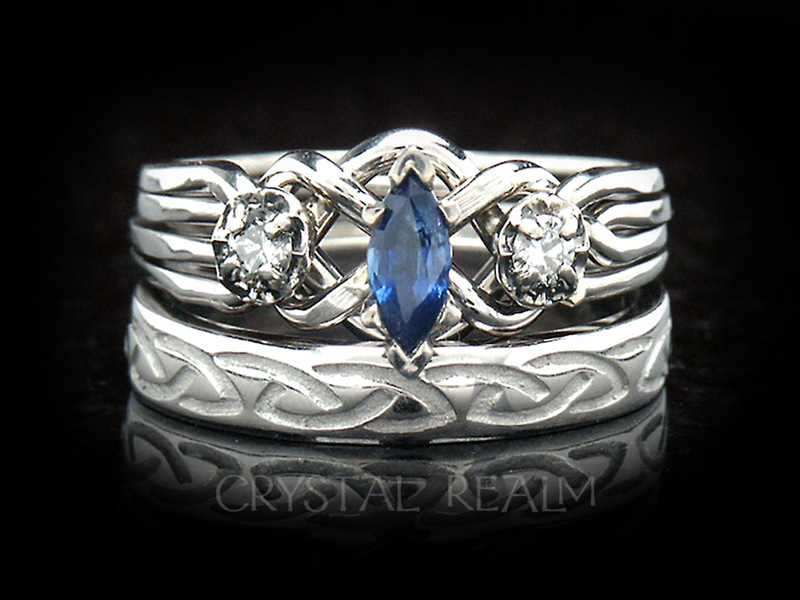 The marquise royale (means has side stones) sapphire puzzle ring is artisan-crafted in the U.S. exclusively for Crystal Realm. 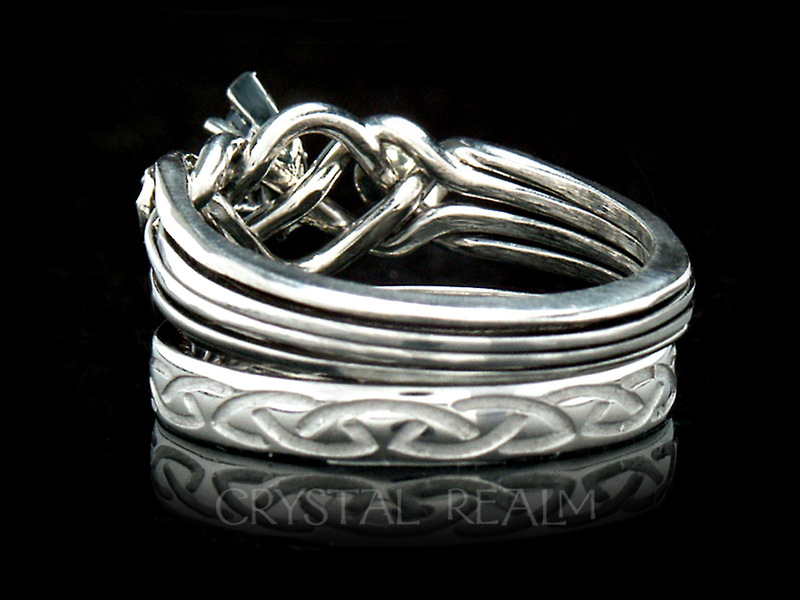 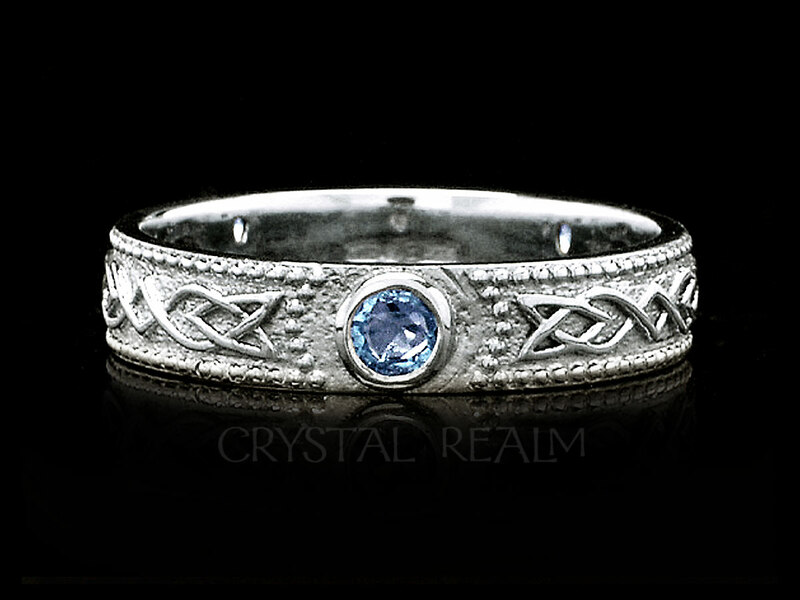 The Celtic wedding band is hand-made in Ireland in small runs of one or two. 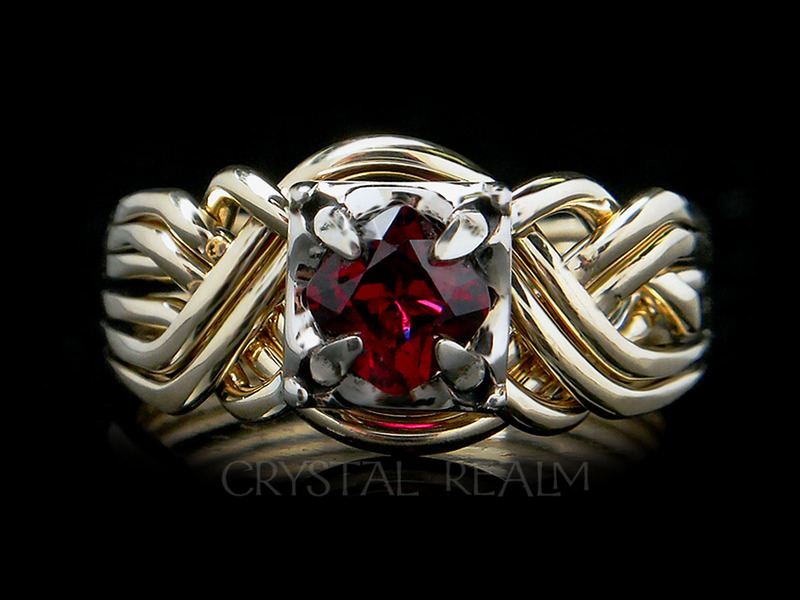 This set is exclusive to Crystal Realm.